On a recent Called to Coach, we spoke with Gallup-Certified Strengths Coach, Beverly Griffeth Bryant. Beverly began her journey to bring strengths to the court system 12 years ago. At that time, she had to do a lot of CliftonStrengths evangelizing because most of her colleagues were unaware of CliftonStrengths and the CliftonStrengthsFinder assessment. Over time, those colleagues became more aware of CliftonStrengths as the CliftonStrengths movement grew. In fact, when Beverly presents on strengths and how they enhance the judiciary at national conferences, she often has conference attendees who have taken CliftonStrengthsFinder, but have never applied their strengths to their workplace goals. Beverly teaches those judiciary employees to use their strengths to increase engagement and productivity and to be more fulfilled. When work groups in the judicial branch contact Beverly about strengths, she asks them a lot of questions. 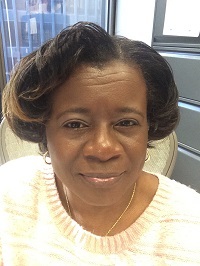 Beverly said, "I ask them, 'Why do you want to take StrengthsFinder? What do you want to change? What do you want to do to transform your culture?'" Based on the answers to these questions, Beverly tailors her approach to that work group. However, she explained that the biggest boon to a person's engagement is focusing on what they do best through CliftonStrengths. The conversations with people on "what you do well" help those court employees understand everything they are doing right at work and celebrate their contributions. Beverly's Top 5 Strengths are: Includer, Strategic, Belief, Positivity and Maximizer.